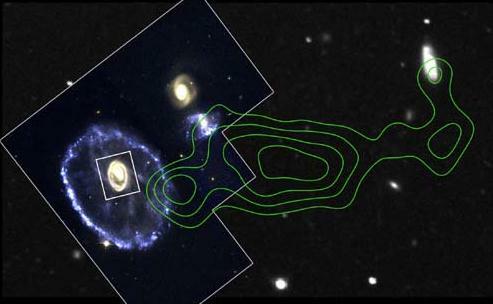 Explanation: In yesterday's episode our hero, the Cartwheel galaxy, had survived a chance cosmic collision with a small intruder galaxy - triggering an expanding ring of star formation. Hot on the intruder's trail, a team of multiwavelength sleuths have compiled evidence tracking the reckless galaxy fleeing the scene. 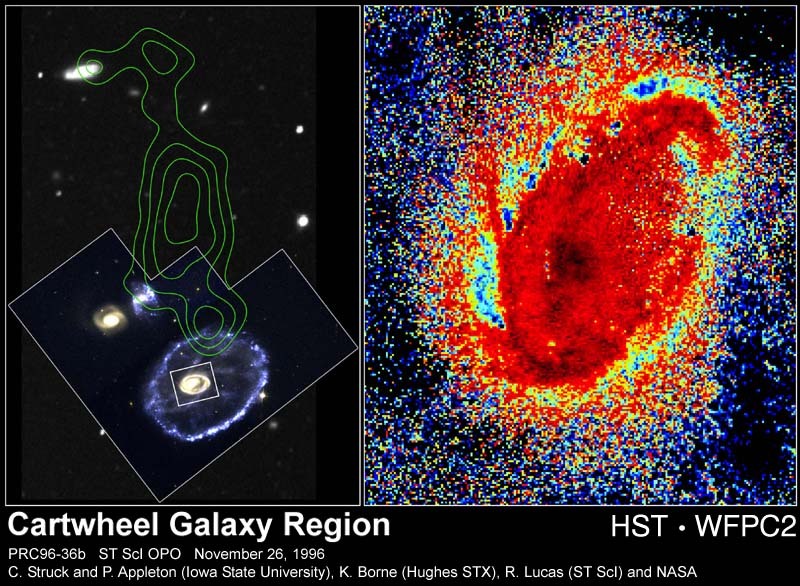 Presented for your consideration: a composite showing a visual image of the Cartwheel galaxy (at left) and smaller galaxies of the Cartwheel group, superposed with high resolution radio observations of neutral hydrogen (traced by the green contours). The neutral hydrogen trail suggestively leads to the culprit galaxy at the far right, presently about 250,000 light years distant from the Cartwheel!